Our South Tower packages come with accommodations in the South Tower with fabulous views of the Las Vegas Strip, Fremont Street or pool views. Amenities include a 32″ flat screen TV with premium cable channels and pay-per-view options. Each room has complimentary Wi-Fi, an in-room safe, AM/FM alarm clock radio, iron and ironing board, hairdryer, and bath amenities. 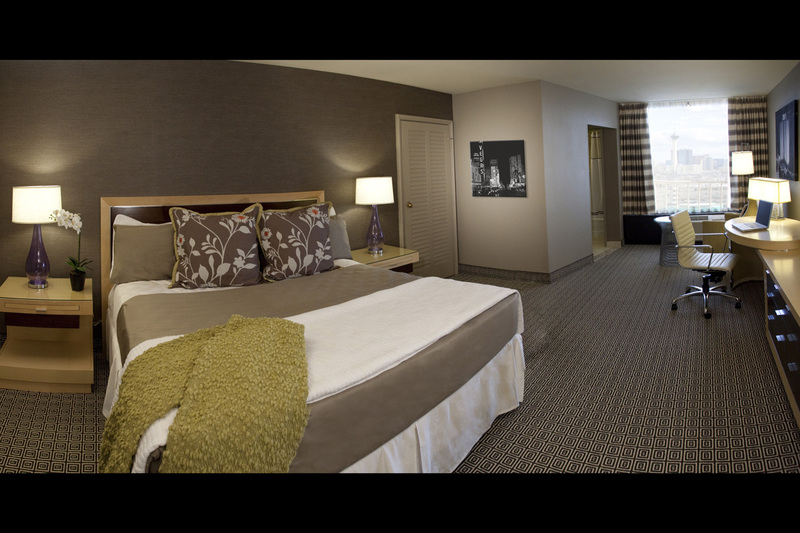 Select King Bed or 2 Queen Beds and Non-Smoking or Smoking at checkout.